This paper absorbed the water slowly, but still too fast for the salt to do its usual thing. Instead, it formed this mysterious flower-like shape inside the paper — this is actually what started as the back of the paper. 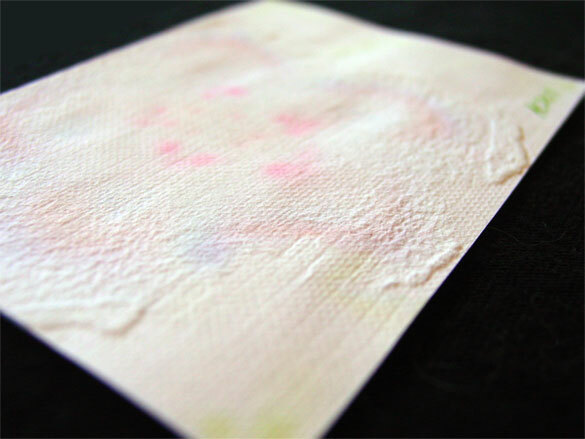 The ink left ghostly rainbows of dye in the paper as it separated into its component colors. 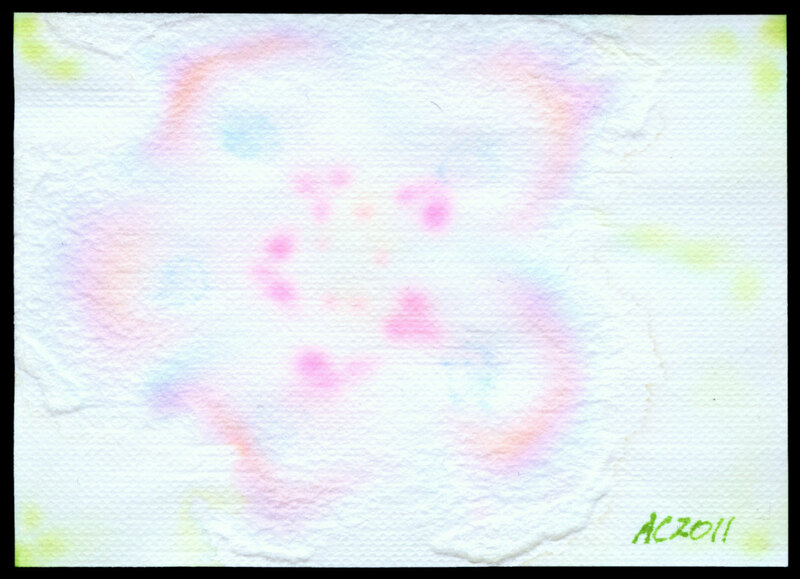 I went back in and added more ink and water both, which leaves us with a subtle embossed flower surrounded with the gentle green of new leaves. Five 4, 3.5″x2.5″ mixed media on paper, nfs (but available for trading!). This detail shot really makes the pink I dotted into each petal glow, and you can just see the five golden stamen I put in the center. I love that this card has so much detail hiding in the extremely subtle play of color and texture. 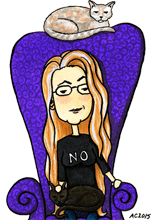 If you’re an artist who makes ATCs of your own, and are coveting this one, let me know!